Three different strategies for clearing snow. 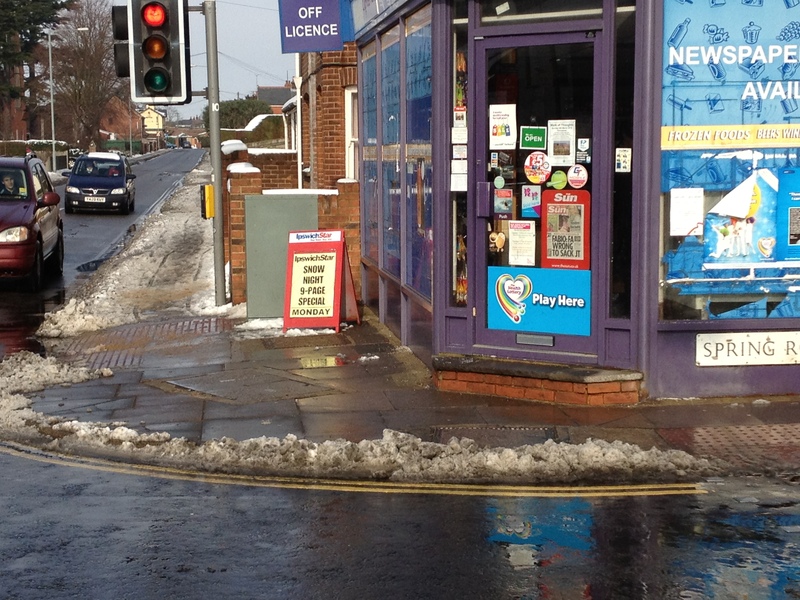 The first picture shows a local shop-keeper who has actually cleared the pavements and dropped-kerbs outside their shop to make it easier for customers and passers-by alike. Thank you. 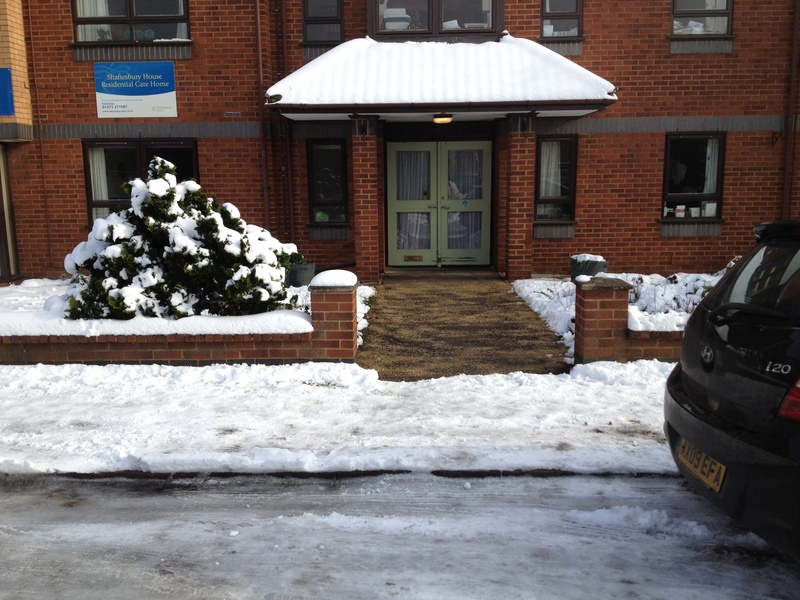 We then have the nursing home where they cleared the path very very carefully right up to the edge of their property and then stopped; I can only presume that they believe (incorrectly) that they could be prosecuted for clearing the snow to the edge of the carriageway or indeed all along their frontage. 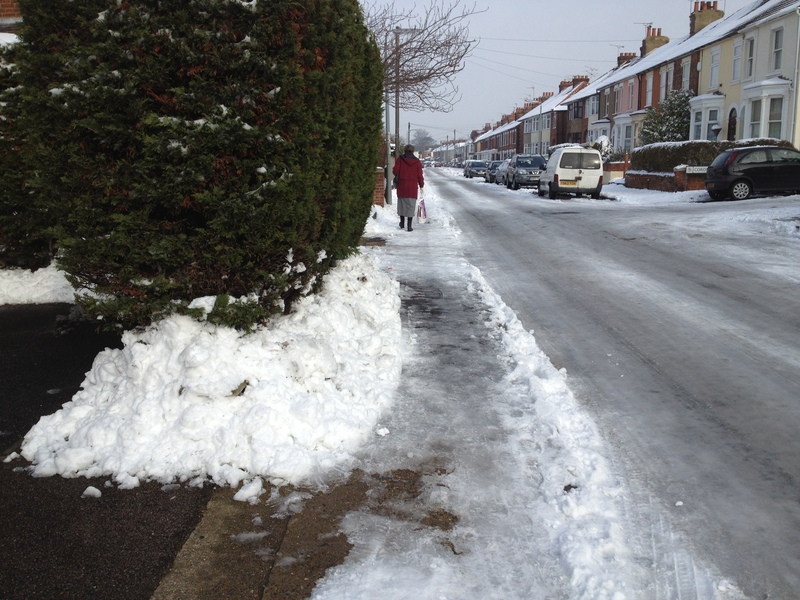 Finally there is the dumb-headed approach where householders clear snow from their property and pile it up on the pavement where it obstructs pedestrians. More common than one might hope as can be seen from the two examples below. A shop-keeper clears outside his shop – keep it up! Let’s pile the snow along the pavement, no one uses it anyway! 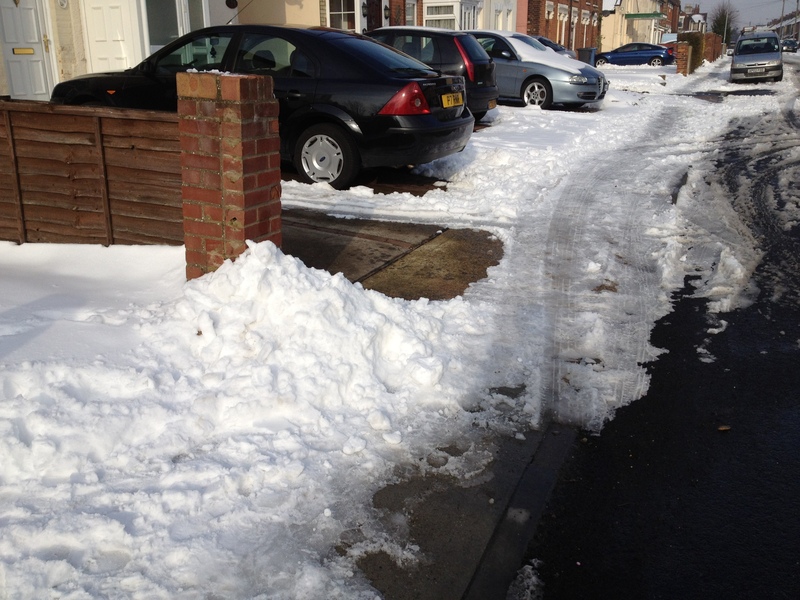 As a postscript… after clearing the snow along the frontage of my house I noticed a couple of guys clearing snow off the roof of their car piling it up across the pavement I had just cleared. I, not very politely, (sorry) suggested that they might like to remove it which they did without complaint which was decent of them, but it is interesting to note how little social awareness there is around all this. ← Think pedestrian, especially when it snows!